While many sports and ice skating enthusiasts are familiar with the name Tara Lipinski, only a few know who her better half Todd Kapostasy really is. Nearly twenty years after making history at the 1998 Winter Olympics, the Olympian turned NBC analyst made headlines again with her love life, thus making Kapostasy a person of interest. A retired figure skater, Olympic gold medalist, actress, and NBC sports commentator, Tara, has accomplished quite a lot in her life but none of these compare to her marriage with Todd Kapostasy. Though Todd may not be as famous as his ice skater wife, he has also done well for himself in sports media. Here are answers to frequently asked questions about the man who won the ice queen’s heart. Who Is Todd Kapostasy – Tara Lipinski’s Husband? A Cleveland native, Kapostasy was raised in Lake County, Ohio. His academic records show he graduated from Perry High School in 2002. The Midwestern gentleman proceeded to study political science and history at Brown University in Rhode Island. Todd Kapostasy’s athletic skills were evident as a high-jumper during his college years. It is no news that Todd Kapostasy is the man behind ice queen Tara Lipinski’s smiles. So far, the couple’s love journey has been an enviable and a whirlwind romance. Todd and Tara first crossed paths in May 2015 when the former figure skater presented him an award at the Sports Emmys and they quickly established a romantic connection. They were engaged seven months after the event, and nearly two years after their engagement, they exchanged nuptial vows on June 24, 2017, in an ultra-romantic ceremony at Middleton Place, in Charleston, South Carolina. The pair are undoubtedly going strong and continue to make more fabulous memories together. Todd Kapostasy is not just Tara Lipinski’s heartthrob but also a dream come true for the ice queen. From a dreamy engagement that included skating in Central Park and the proposal with an enormous diamond ring at Manhattan’s iconic Plaza Hotel, to their beautiful wedding ceremony, Kapostasy sure knows how to melt the ice queen’s heart. According to Tara, marrying the love of her life in a fairytale wedding surrounded by all her friends has so far been the best day of her life. Interestingly, the ice queen who loves being married more than skating, once revealed that her wedding even surpassed the moment she won Olympic gold. Though he may not be a record breaker or as famous as his Olympian wife, Todd Kapostasy sure has an impressive resume. His love for sports has earned him jobs in some top media outlets including Fox and ESPN. Lipinski’s better half is currently a producer with Fox Sports in Los Angeles. Prior to that, Todd lived in Connecticut and had a seven-year stint as a production assistant at ESPN, working mostly behind the scenes for SportsCenter. 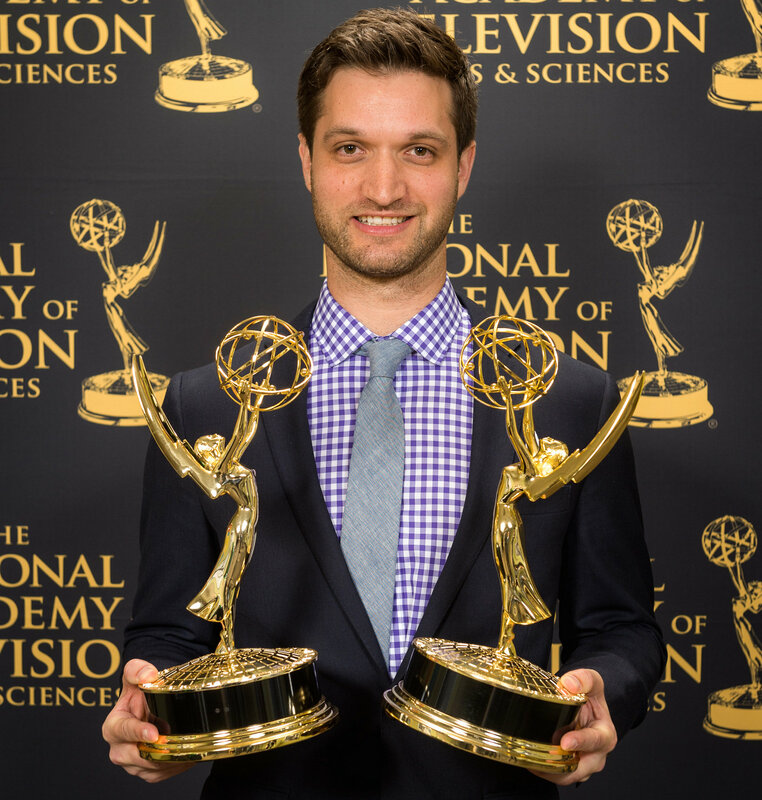 Kapostasy’s passion and exceptional work spoke for him when three of his projects won four Sports Emmys in 2015. Out of the four pieces, two were for his outstanding editing, one for the short feature Corked: The Albert Belle Bat Heist and another for Derek Jeter: Captain’s Curtain Call. It was at the 2015 Sports Emmys that Kapostasy met Lipinski after she presented him with his award onstage. Like everyone else with a passion and drive for success, Kapostasy’s life goals are not far fetched. For the sports enthusiast who loves documentaries, part of his career goals is to continue doing more long-form sports related storytelling. A Pennsylvanian, ice skater Tara Kristen Lipinski was born on 10 June 1982. She first came into the skating scene in 1988 but was spiraled to fame in 1994 after she won gold at the U.S. Olympic Festival competition. Tara made history with the feat as she became not just the youngest female figure skater to win gold but also the youngest athlete in any sport to win gold. Refusing to rest on her laurels, Lipinski recorded bigger future wins such as the 1997 World championship and the 1998 Olympic championship, among others. At the 1998 Nagano Winter games, she made history as the youngest gold medalist at the age of 15. Besides her ice skating career, Lipinski is also an actress and a sports analyst. As an actress, she has some small and big screen credits such as Touched by an Angel, Vanilla Sky, 7th Heaven, Malcolm in the Middle, and Superstore.